The community provide their last minute Gameweek 15 tips for the midweek games. Is it time to transfer out an injured Sergio Aguero for either Harry Kane or Pierre-Emerick Aubameyang? Injury expert, Ben Dinnery, provides all the very latest injury news for the Gameweek 15 tips. In his latest video update, Ben gives his verdict on the likelihood or Aguero being in the squad or starting against Watford. 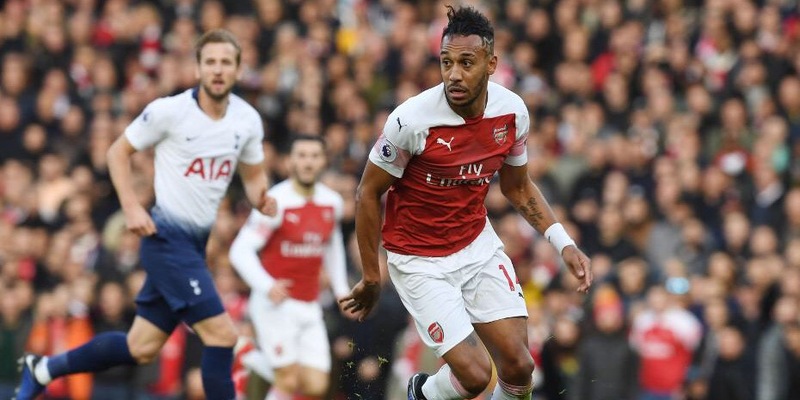 Adam Hopcroft provides all of the key statistics for the Gameweek 15 tips, on the Premier League top point scorer, Aubameyang. Has that North London Derby performance pipped Kane to be the biggest bandwagon for midweek? It’s no surprise to see both Aubameyang and Kane lining up in the Fantasy Football Pundits Gameweek 15 captain picks. Jack Woodfield makes the bold claim that there is absolutely no downside to giving Kane the armband: don’t overlook Aguero though! The first midweek fixtures of the season are upon us and for most of us, it’s Christmas come early! FPL Tips weighs up the potential moves away from Aguero for the Gameweek 15 tips. Harry Kane may be the top contender, but could the captaincy be better distributed elsewhere in the squad? Rotation looks inevitable. 🎥 NEW #FPL VIDEO 🎥#GW15 | Aguero to Kane or Aubameyang? Arsenal fan, Giroud’s Top, provides a helpful comparison between Kane and Aubameyang for the Gameweek 15 tips. The latest shots on target statistic is eye-opening: Can we expect Aubameyang to maintain his conversion rate? The Always Cheating podcast duo discuss the key premium strikers to own going into the festive period: there is some concern but they do urge caution. West Ham assets are also discussed at length. It’s West Ham’s Felipe Anderson who takes the headlines for the Fantasy YIRMA Gameweek 15 preview. With a plum home fixture against struggling Cardiff, he looks likely to maintain his blistering form. It’s Spurs that rank higher than Arsenal in the form charts, does that swing things in Kane’s favour? Don’t overlook Chelsea and Eden Hazard though! The FPL Surgery team have an esteemed guest as they take on the big questions for the Gameweek 15 tips. It’s all in the latest edition of the podcast. FPL Nymfria takes on the biggest transfer decision of the week in her latest video, with plenty of talk on the merits of Aubameyang and Kane. Which will you go for? FPL Connect takes inspiration from the latest bookies odds to predict the best players to own for Gameweek 15. Who will you be giving the captaincy to? While much of the Gameweek 15 tips discussion revolves around forwards, Lee from FPL Family is tipping a Manchester CIty midfielder to take the midweek games by storm. He could be the ideal enabler to free up funds from premium midfield assets. Just catching up with #MOTD and just watched City. Passed the eye test. With distinction. BEFORE YOU GO…. 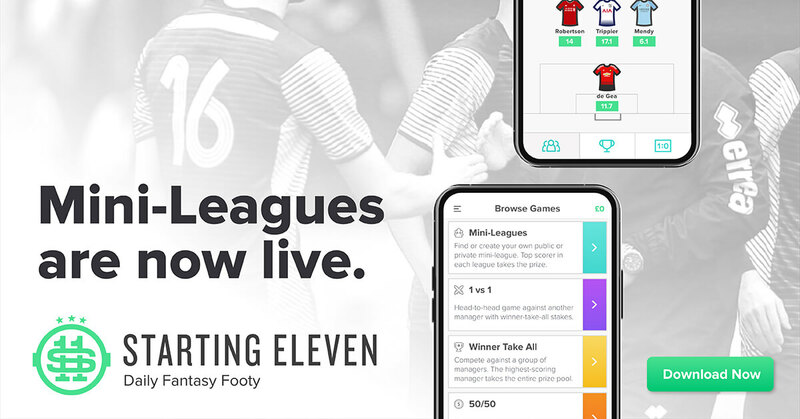 If you’re interested in playing Premier League Daily Fantasy Football with us and many other community members this week, please download the FREE Starting 11 app today by clicking the banner below.